Contact us now to set up a customized care plan at no cost. When the challenge of caring for your loved one 24/7 is too much, A Graceful Way In-Home Care will help you lift the heavy load. We strive to make your loved one's life easier and more comfortable to allow you to have peace of mind and freer access to professional and cost-effective home care. A Graceful Way In-Home Care is an independently owned business that puts families' needs first. We are passionate about providing exceptional care going above and beyond what traditional caregivers provide to ensure complete satisfaction and comfort for our clients. At A Graceful Way In-Home Care, we strive to provide caregiver services that would compare to the companionship a senior would receive if their family had 24 hours a day to devote to his/her care. 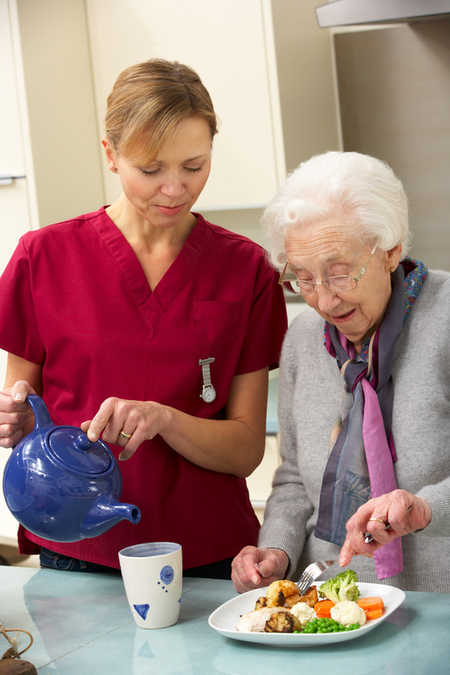 Getting a caregiver from A Graceful Way In-Home Care was the right decision. They took the time to listen to my concerns, and understand my family's care needs to find an amazing caregiver to help us out. This is a very great company! The staff are very skilled and knowledgeable about working with their customers. Communication is great as well and very timely! I would definitely refer this company to anyone in need! This company has been a relief in assisting with the care of my grandmother! Thanks! Gracefull Way Home Care provides a caring professional service to your love ones. Ryan was very personable and attentive when he took care of my mother. I have referred friends to his service and they were appreciative. A Graceful Way In-Home Care has provided outstanding services to my mother and my family. The company is very caring, reliable, supportive, and knowledgeable. Ryan Reedom has been a blessing to all of us. I highly recommend A Graceful Way for in-home care. On several levels in-home services for loved ones need to be impeccable! Ryan Reedom's conceptual and actual service plans include providing quality services in A Graceful Way! It is evident to me that Peace, Grace, Love and Compassionate care prevail for his premier client, my mother, who is a nonagenarian lady with Alzheimer's Disease. A Graceful Way supports her quality of life by customizing and meeting her needs, reliably, in her favorite setting - her home. A Graceful Way In home care really stepped up for my family this year. When we needed to find care for my great grandmother Ryan helped walk us through the whole process from start to finish. If it hadn't been for his guidance and information about the insurance we would've been completely lost. Thank you so much, she loves her caregiver and we are grateful for all you do!